I have made one CD with singing bowls sounds. It is a professional recording of a healing session. I have also two small books with information about singing bowls which are now free to read online. Click on the images or links. 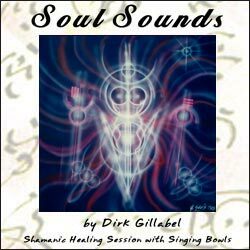 If you are looking for an excellent singing bowls CD for relaxation, grounding, centering, meditation, healing, bodywork, yoga, massage and more: go to Soul Sounds CD! This book is a hands-on manual for working with singing bowls. This book provides general information about the origin and characteristics of singing bowls.